Developmental psychologists Dr Beate Priewasser and Dr Josef Perner at the Centre of Cognitive Neuroscience and the Department of Psychology of the University of Salzburg play games with young children to reveal nuances of social development and illuminate how we understand ourselves and one another. How do we understand our own behaviour and the behaviour of others? How do we come to represent and evaluate our own motives and perspectives, and recognise alternative motives and perspectives in other people? Philosophers and psychologists alike have marvelled at this question for centuries. Austrian researchers Dr Josef Perner and Dr Beate Priewasser have devoted their careers to advancing our understanding of how we come to understand ourselves, using a novel experimental protocol with young children. The prominent theory of how we understand both our own behaviour and the actions of other people is theory-theory. Theory-theory (sometimes called theory of mind) posits that we understand the actions of others through an estimation of their beliefs and desires. Under this theory, we expect that other people act to achieve their desires within the framework of their personal beliefs. This theory frames human behaviour entirely in terms of an internal mental state, and views this internal state as the sole source of intentional behaviour. In order to understand others through theory-theory, we must infer their internal mental states like their beliefs and desires and how they generate action. It has no room for the idea that people act for good reasons. The theory of mental simulation suggests that when trying to explain others’ behaviour, rather than inferring what they might think or desire, we simulate others’ mental life that led them to act. Under simulation theory we pretend to be another person in order to determine why they have behaved the way they did. Dr Perner, in collaboration with Dr Johannes Roessler (University of Warwick), has developed a third theory of human understanding – teleology theory. Teleology theory refers to humans’ natural tendency to assume that actions are done for good reasons and these reasons are objectively given facts. Typically, when we see someone doing something odd, we are not satisfied to imagine that they simply desire to do this odd activity, we want to know the reason why they are engaged in this activity in the first place. Teleology theory posits that in the majority of cases we understand the behaviour of ourselves and others by assuming there are objective reasons we act the way we do. Teleology assumes that: (1) objective reasons are factual and publicly accessible, (2) if one has an objective reason to do something, they should act on it, and (3) if a person has an objective reason to do something and they are competent to do it, they will engage in that action. Teleology bypasses the complex need to understand the interplay of mental states in theory-theory, and avoids having to imagine oneself being in another person’s situation in simulation theory. This line of reasoning is often evidenced in the way humans automatically explain their own behaviour and attempt to explain the behaviour of others – we almost always frame actions in terms of objective reasons for taking them. As Dr Perner explains, ‘we see ourselves not just emitting behaviour according to some lawful principles, but we strongly feel that we are acting for (more or less) good reasons. Moreover, we also see others as acting for similar reasons.’ Together, Drs Perner and Priewasser study this phenomenon using an unexpected model – very young children’s ability to play games. At the surface, competition in a game may seem like an odd way to study how humans understand one another, but Drs Priewasser and Perner argue that competitive games elegantly tease out how we perceive the actions of ourselves and others. Imagine two people playing tic tac toe. Player A only makes marks to build a row of 3, while player B strategically makes marks to both block Player A and build their own row of 3. Which player will win? Mostly likely Player B. Player A’s strategy thinks only of their own motives and perspective, while failing to account for the motives and perspective of Player B. Player B’s strategy encompasses both players’ competing motives, and thus is able to shift between blocking Player A’s moves and advancing their own. Children under the age of 3 or 4 are like Player A in that they remain oblivious about the competing motives of others. As such, young children typically do not derive enjoyment from competitive play. Drs Priewasser and Perner and their research team have devised a series of competitive games that help illuminate the development of how we come to recognise alternative perspectives in young children, and highlight a teleological explanation for human understanding of one another. The common test for whether or not a young child is aware of the perspective of others is the false belief test. During this test, a child observes Puppet A hide a treat somewhere in a room, and then exit. Puppet B then enters and moves the hidden treat to a new location. When the Puppet A returns, the child is asked where they will look for the treat. Older children will quickly identify that Puppet A will look for the treat where it was first hidden, since Puppet A was not present for the switch. However, almost all children under the age of three-and-a-half predict that Puppet A will look for the treat where it was most recently hidden by Puppet B, indicating that they are not aware that the puppet’s perspective does not share the same information as their own. Young children cannot conceive that the puppet holds a false belief about the location of the treat. The research team wished to demonstrate a link between understanding false beliefs and appreciation of competitive games. They devised a simple game in which the goal was to collect the most beads on a stick. 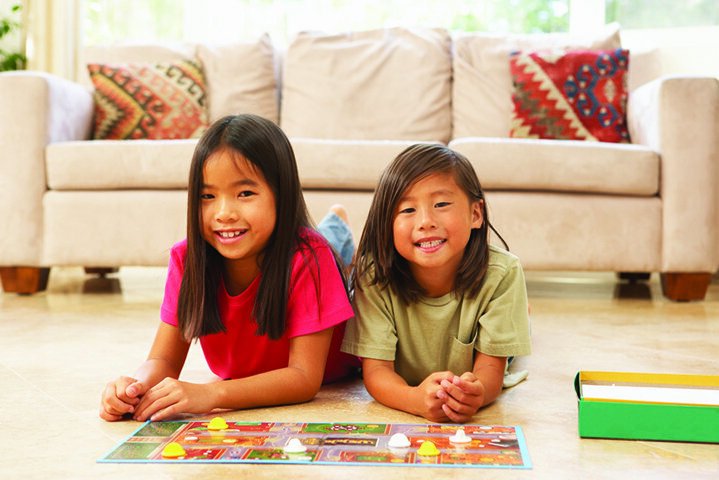 Children take turns rolling dice and adding beads to their stick, with the option to take the beads from either a communal pile or another player’s stick. Competitiveness was measured by how often a child chose to poach beads from another player rather than the communal pile. According to theory-theory, children learn to understand desires prior to understanding beliefs, in which case desire-driven competitiveness could emerge independently of understanding other’s beliefs. If teleology theory held, one would predict the performance on the two tasks to be strongly associated – a child would have to recognise that another person held a different perspective to appreciate that another person’s motives ran counter to their own during the game. They found that performance on the false belief test was strongly correlated to competitive poaching behaviour in the bead game, supporting the teleological view. During the bead game, children were focused on the positive goals of finishing the bead stack but failed to see that they should also take steps to prevent others from reaching that goal. 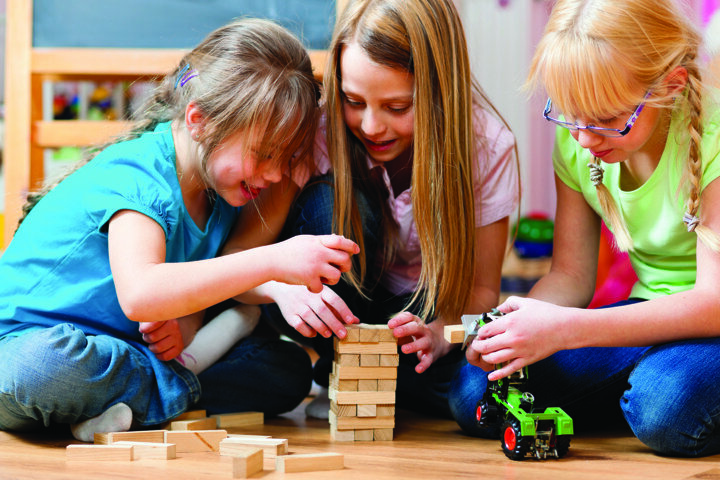 To take things a step further, Drs Perner and Priewasser and their colleagues needed to move beyond children simply engaging in competitive behaviour to demonstrating their ability to predict it. Sabotage is perhaps the most obvious case of incompatible desires – one person is intentionally preventing the success of another person’s actions. Following theory-theory, young children should be able to recognise desires earlier than and independently of beliefs, that is, they can understand conflicting desires prior to understanding perspectives independent of their own. Under teleology theory the two go hand in hand, because action driven by contradictory desires or contradictory beliefs, both need an understanding of different perspectives. Therefore, children will not be able to understand that others have conflicting desires prior to understanding that others can have differing beliefs. In a project that is still currently ongoing, the team designed a clever sabotage test to evaluate whether or not young children are able to understand conflicting desires prior to conflicting beliefs. Children were shown a simulation with two puppets. Puppet A wanted to drive a truck with food to a group of animals, while Puppet B did not want Puppet A to feed the animals. Puppet A had two options: drive the truck a short route that Puppet B had the ability to block with a gate, or drive the truck a long route with no gate. The children were then asked to predict which route Puppet A should take. Children that had passed the false belief test consistently selected the correct answer – the longer route with no gate – while children that had not passed the test selected the short route blocked by Puppet B. Since these children could not conceive of alternative perspectives, they could not understand or predict that Puppet B would block the gate when the goal was to feed the animals. 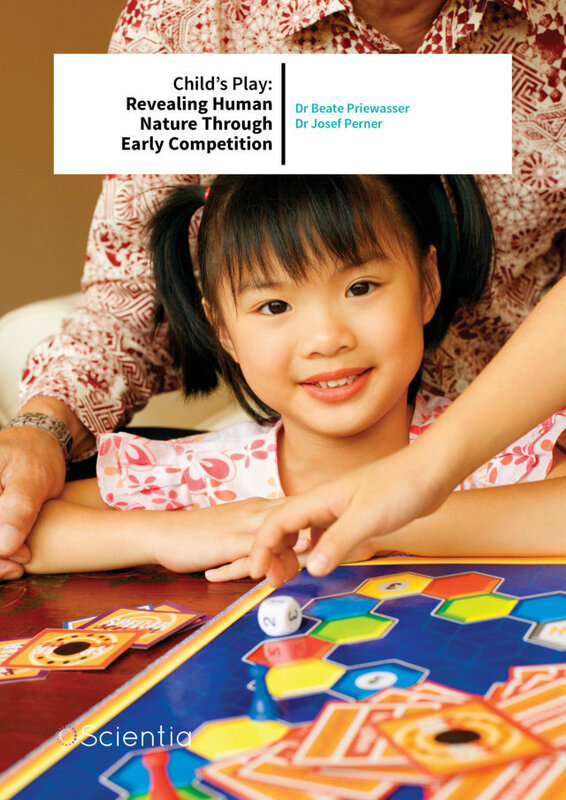 To corroborate their findings on early childhood enjoyment and understanding of competitive activities, the research team looked outside the lab to one of the most extensive purveyors of research on toddlers and competitiveness – board game manufacturers. 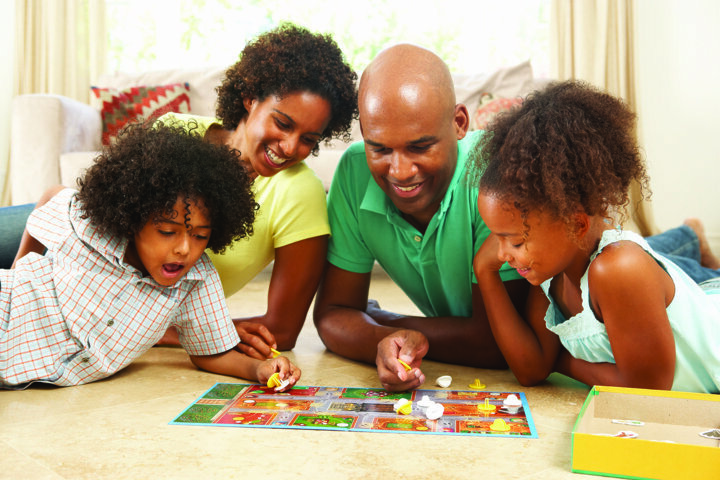 In order to obtain recommended ages (and thus marketing demographic) for children’s board games, most go through extensive trials to determine which age groups will most understand and enjoy playing. The researchers analysed a group of over 100 children’s games on four qualities: (1) cooperative or competitive goal orientation, (2) chance or strategy based demands on the player, (3) level of player interactiveness required to achieve the goal, and (4) possibility to sabotage other players. They predicted that competitive games that require sabotage would only be marketed to children over the age of 4 (the age at which the majority of children pass the false belief test). Indeed, they found that the manufacturer’s recommended ages correlated strongly with the skills predicted by their competition and sabotage developmental assays. Dr Beate Priewasser began her career in 1994 as a preschool teacher in Austria. Fascinated with the behaviour of her young students, she began the pursuit of additional degrees in 2003, graduating with a BA in Education in 2008, an MS in Psychology in 2009, and completed her PhD in Developmental Psychology in 2015, all at the University of Salzburg. 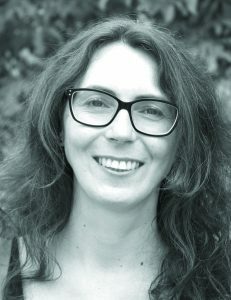 Dr Priewasser currently serves as a Senior Scientist in the Department of Psychology and Centre of Cognitive Neuroscience at the University of Salzburg, where she is engaged in research into the development of theory of mind, perspective taking, and competition in young children. Dr Josef Perner received his PhD in Psychology from the University of Toronto in 1978. He went on to serve as a Professor of Experimental Psychology at the University of Sussex from 1979 to 1993, and after a period as a Visiting Professor at the Max-Planck Institute for Psychological Research in Munich, joined his current laboratory at the University of Salzburg as a Professor of Psychology in 1995. 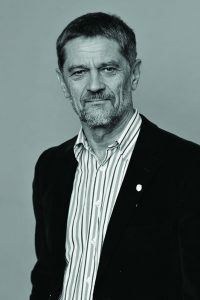 He holds an honorary doctorate from the University of Basel, and has been awarded both the William Thierry Preyer Award for Excellence in Research on Human Development by the European Society of Developmental Psychology (ESDP) and the Bielefelder Wissenschaftspreis for his interdisciplinary research.